Hockey Book Reviews.com: Most Popular Hockey Books So Far? Most Popular Hockey Books So Far? A few people are asking me which of the new hockey books are the best sellers so far? Getting hard sales details are next to impossible. The only way I can judge are through click thru ratios and actual orders by you the readers through my affiliations with Amazon and Chapters. With that in mind, it appears this really is going to be the year of the Habs. 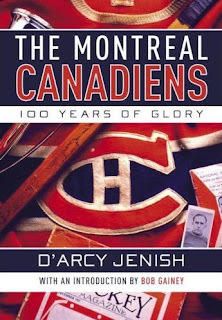 Here's the top 10 best selling hockey books here at HockeyBookReviews.com. You'll note that When The Lights Went Out is actually a 2007 release, but still selling well apparently.